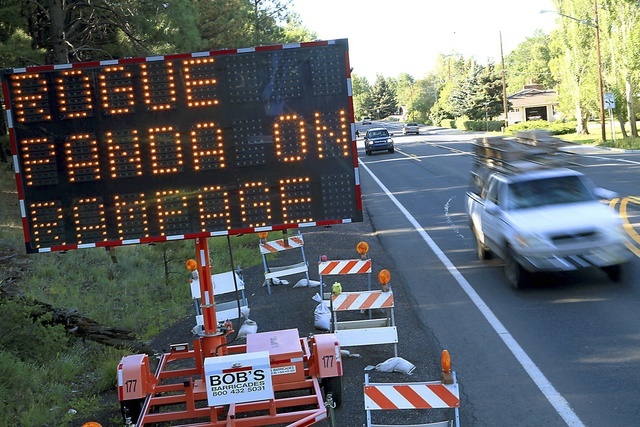 The Carden Chronicles: Rogue Panda in Flagstaff? 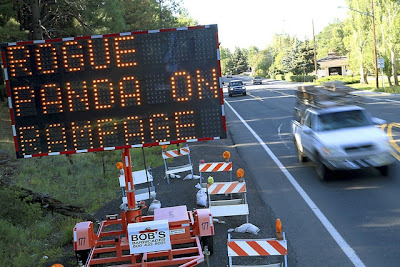 Some time around 3 a.m. on August 22 someone noticed this sign while driving on Ft. Valley Road in Flagstaff, Arizona. This sign was supposed to tell drivers not to make left hand turns. However, hackers, who broke into the sign systems of Arizona Department of Transportation, felt the message should be more "creative" and definately more "humerous."